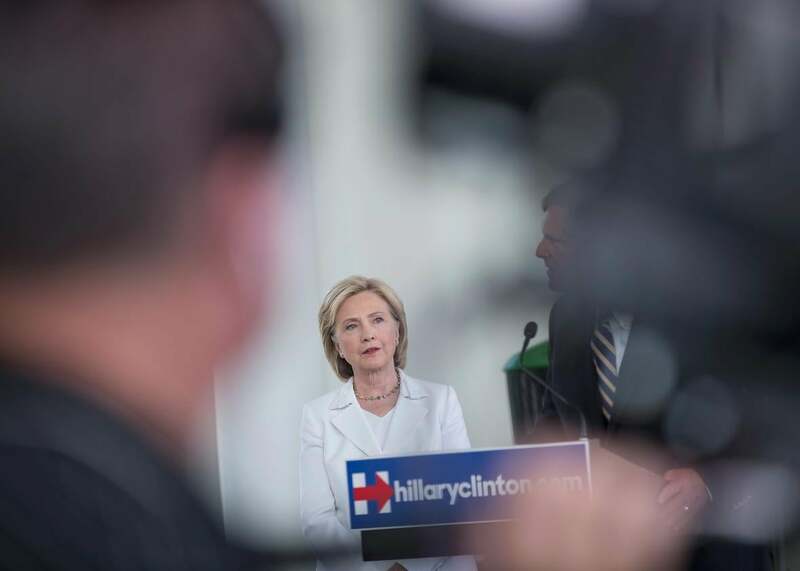 Hillary Clinton reboot: The NYT reports she will show more humor and heart. Hillary Clinton speaks to guests gathered for a campaign event on the campus of Des Moines Area Community College on August 26, 2015 in Ankeny, Iowa. Get ready to meet the new and improved new-and-improved Hillary Clinton. In a world where words have meaning, such a campaign strategy would be nonsensical. You don’t become more authentic by trying to act authentic, and you can’t plan to be spontaneous. If the Hillary Clinton we saw during the 2008 election and during the first five months of this one wasn’t the “real Hillary Clinton,” why would voters believe the next version her campaign presents will be? Why would they believe that any version would be for that matter? Hillary has been fighting this particular narrative for decades without any luck, and the new game plan sounds an awfully lot like the old one. As Frank Rich put it eight years ago during her last run for the White House: “Clinton campaign’s method for heeding the perennial complaints that its candidate comes across as too calculating and controlled is to periodically toss in a smidgen of what it deems personality.” Clinton launched her 2008 campaign with an invitation to “chat,” and followed it with a series of online “conversations”—appeals to spontaneity that came off as scripted. To be fair, the problem of seeming genuine while campaigning is hardly unique to Hillary. Jeb Bush and other GOP establishment candidates haven’t had much luck convincing voters that they’re the real deal, either—particularly during a Summer of Trump where the absurd has become a stand in for the authentic. But for Clinton, it is considered a particularly serious problem given both her biggest official challenger, Bernie Sanders, and her biggest unofficial one, Joe Biden, have had no trouble convincing voters that there’s at least a sliver of person inside the politician. After years of trying and failing to find their own secret formula, though, Clinton’s camp might want to finally consider that the authentic Hillary they are searching for is the same Hillary they’ve had all along. That Clinton is far from perfect—but she is still leading the race.